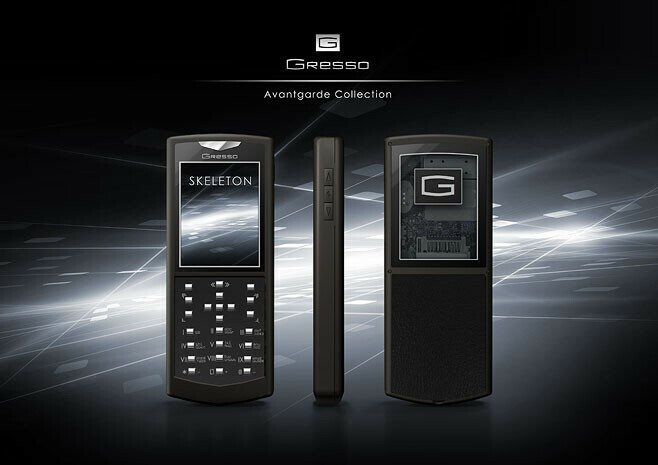 The luxury phone manufacturer Gresso introduced a new model, the Avantgarde Skeleton. It will be produced in just 15 units, with a price of 3999 Euro (about $5480), and sales will begin on December 19, 2008. The make is a mix of the high-quality materials, used in the rest of the company’s models. The body is made of titan alloy, and the keys are of special steel, commonly used in the production of airplanes. One of the Avantgarde Skeleton’s unique features is that it is covered with high-tech ceramics, used for tiling of space shuttles, in order to endure to very high and very low temperatures. Another one is that part of the back is actually made of sapphire glass, so one can easily see the parts inside. This idea is expired by the Swiss watches, which reminds us of another luxury phone that we informed you of - the Mobiado 105GMT Gold. 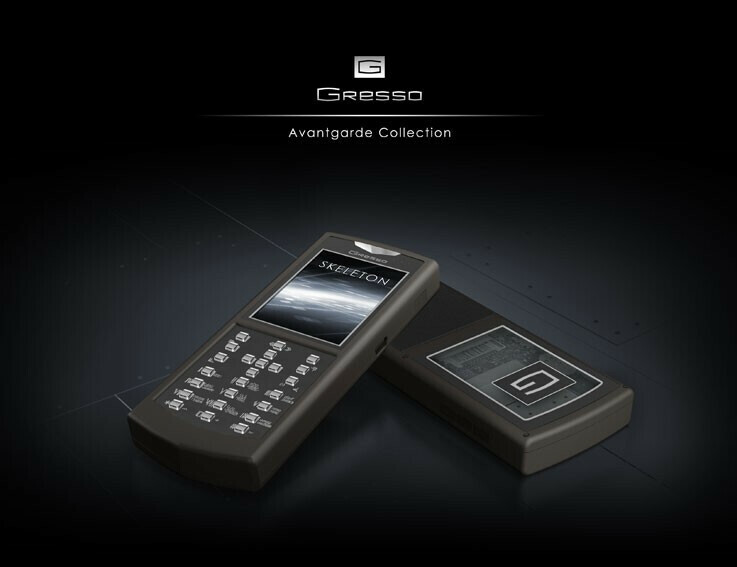 The specifications of the Avantgarde Skeleton do not differ from the ones of the other Gresso models. It’s also a tri-band GSM (900/1800/1900) without 3G support, it has a 2MP camera and works on Windows Mobile 6.0 Standard. Another pointless phone for the rich and wealthy and lucky lottery winners. Woah, about $5,000+ US dollars for what looks like a standard candybar cell? I would kill somebody if they actually spend that money on a phone like that.